North Korean dictator Kim Jong Un appears in the headlines frequently, tossing threats at the Western world while presiding over missile launches and nuclear weapons tests. Much less well-known are his siblings—two sisters and two brothers, one of whom is now dead. Kim Jong Un’s sister appeared briefly in the news when she was named as an alternate member to the North Korean Politburo. His half-brother, Kim Jong Nam, commanded quite a bit of news coverage when he was assassinated in a Malaysian airport in February. Kim’s remaining two siblings are almost invisible, save for a few hastily snapped photos and occasional official statements from the official North Korean news agency. Kim Yo Jung is Kim Jong Un’s younger sister, the youngest daughter of former dictator Kim Jong Il. Yo Jung was born on Sept. 26, 1987. She studied overseas, then returned to North Korea for her father’s funeral. In early October, Kim Yo Jong was named as an alternate member of the Worker’s Party Politburo, replacing her aunt, Kim Kyong Hui, the sister of Kim Jong Il. As an alternate member, Kim Yo Jong can participate in discussions, but not vote. As with most of Kim Jong Un’s family members, details of her rise to power are opaque. Some reports say she was appointed to the Workers’ Party of Korea’s (WPK) Propaganda and Agitation Department. Her association with the propaganda office strongly suggests that in addition to the myriad technical and administrative tasks she reportedly carries out for her brother, Kim Yo Jong has become the leading image maker for her brother and the DPRK as a whole, according to North Korea expert Michael Madden, at the website 38North.org. Kim Yo Jong and Kim Jong Un spent two years together at school in Bern, Switzerland. Because the two were isolated in Switzerland and remained isolated when they returned to North Korea, they grew to trust one another. Kim Yo Jong helped her brother consolidate power after the death of their father. It seems she does not actively or directly influence policy, but remains a powerful and trusted advisor behind the scenes. Media reported in July 2013 that Kim Yo Jong joined her bother Kim Jong Un’s Personal Secretariat to manage scheduling, logistics, and security for her brother’s on-site visits, military field inspections, and other public appearances. It is likely that Kim Yo Jong’s position makes her a key gatekeeper for her brother, exerting considerable control over the people Kim Jong Un interacts with and who has access to him. Kim Jong Nam was Kim Jong Il’s eldest son and half-brother to current dictator Kim Jong Un. He was murdered on Feb. 13, and while not confirmed, it was almost certainly on orders from his half-brother. Kim Jong Nam was born on May 10, 1971, to one of Kim Jong Il’s mistress, Song Hye-rim. Due to the disapproval of his grandfather, Kim Il Sung, Kim Jong Nam was kept out of sight for the first several years of his life. Kim Jong Nam was hot-tempered and artistically talented. He had no desire to take over the leadership of North Korea; instead, he dreamed about making movies. Despite his aspirations, Kim Jong Nam was still considered the heir apparent until 2001. In that year Kim Jong Nam traveled to Japan with two women and a four-year-old boy, reportedly his son, using fake Dominican Republic passports. Kim Jong Nam apparently intended to take his son to Tokyo Disneyland. The four were arrested at the border, creating international furor and a great loss of dignity for the North Korean ruling family. 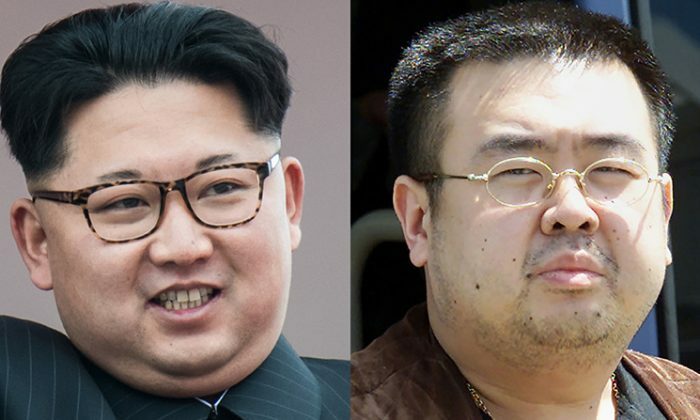 Kim Jong Nam worsened his situation by writing an email to a Japanese newspaper in which he advocated for reform and open markets for North Korea. At this point it became clear that Kim Jong Un would have to be groomed to be the next North Korean leader. Kim Jong Nam remained under the radar, living his life quietly, until a rumor started in North Korea that a cabal was plotting a coup to put Kim Jong Nam into power. It is highly unlikely that this was instigated by Kim Jong Nam. Kim Jong Un wasn’t taking chances. The North Korean ruler had proved he wasn’t shy about executing family members who crossed him. In 2013, Kim Jong Un killed his uncle, Jang Song Thaek, for allegedly plotting in 2012 with then-Chinese Communist Party leader Hu Jintao and then-Chinese Premier Wen Jiabao to overthrow Kim Jong Un. Kim Jong Un also reportedly had all of Jang Song Thaek’s relatives executed. In February of 2017, Kim Jong Nam, who was living in exile in Macau, was attacked by two women, Vietnamese Doan Thi Huong and Indonesian Siti Aishah, in an airport in Malaysia. The women smeared the nerve agent VX on his face. Kim Jong Nam died shortly afterward. Kim Jong Chul is Kim Jong Un’s elder brother, born Sept. 25, 1981. Like Kim Jong Un and his sister Kim Yo Jong, Kim Jong Chul was educated in Switzerland. He apparently liked the freedom of the West a lot more than whatever prospects he faced in North Korea. Though Kim Jong Chul has an official government position, he was not seriously considered for succession because his father, Kim Jong Il, found him too soft. Kim Jong Chul chose to live a quiet life in Pyongyang where he plays guitar in a band. He has acted on behalf of the North Korean state, though. It is reported that Kim Jong Chul led the 2013 arrest of his uncle, Jang Song Thaek, who was executed for treason. This could signal Kim Jong Chul is taking a stronger role in the family. It seems more likely that he had to carry out that duty to prove his loyalty to his younger brother’s regime. Kim Jong Chul is best known in the West for frequenting the concerts of English rock and blues guitarist Eric Clapton. Kim Jong Chul has been spotted at Clapton concerts in Singapore in 2011 and in London in 2015. Thae Yong Ho, former North Korean ambassador in London, said he bought the tickets and accompanied Kim Jong Chul to the Clapton concert in 2015. Photos show a person who looks like Kim Jong Chul’s sister, Kim Yo Jong, at that show. “He’s very free,” Thae said. “But he’s only interested in guitars and music.” Thae later defected to South Korea. Kim Sul Song is the eldest daughter of Kim Jong Il, born Dec. 30, 1974. She is rumored to be the late dictator’s favorite child. There is very little verified information about her. Rumor has it she is a major player in North Korean politics, but works entirely behind the scenes. The BBC has reported that she used to work for the Propaganda Department of the Workers’ Party Central Committee. According to a highly placed North Korean defector, Kim Sul Song was placed in charge of scheduling and security for Kim Jong Il since the late 1990s for his trips around North Korea. Sol Sung traveled with her father, wearing the uniform of a lieutenant colonel of the North Korean People’s Army.